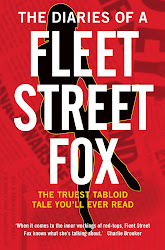 fleet street fox: Some inconvenient facts. HERE'S something to horrify you. According to the Government, domestic violence is the main cause of death for women in Britain aged 19 to 44. Read that again, and then look at it like this: being abused by a partner kills more women in that age group then cancer or road traffic accidents. On average two women die at the hands of their partner every week. Over the course of a lifetime one in four women will experience domestic violence, and one in six men. Most of those people will never tell the police, or even realise that what is happening to them is out of the ordinary. Last year around 392,000 incidents were reported but that represents just 0.65 per cent of the total population, and relates only to physical assaults. The death rate is argued over because of the lack of reporting but it's certain those reports are barely the tip of the ice cube chipped off the berg, which itself it mostly underwater. Of those who do report an offence, this much is known - that three quarters of the victims have been abused repeatedly, and 35 per cent more of them came forward in 2010 than the year before. Whether that is because violence has risen or people are more inclined to call the police, we do not know. Charities say that they always see a massive jump in domestic violence in times of economic recession, because it leads to mental illness, drink and drug abuse, and a desperate need for a victim of the recession to feel in control of something, and thus victimise someone else. Because violence in the home - whether it is against men or women, the elderly, disabled, whether it is financial, emotional, sexual or physical - is all about control. That's why most of its victims don't realise that's what they are. The insidious process of bullying and belittling happens so gradually that by the time the first bruise appears the victim genuinely believes what they're told - that it's their fault, they provoked it, and it won't happen again unless they do something wrong. So the victim becomes terrified of a loved one, constantly worrying about how to change their own behaviour to keep the abuser in a good mood. They know their partner wasn't always this way, and think that if they just stick at it they can make them change. They can't. But that's why people stay in those relationships, fooling themselves into thinking 'it was just a silly row' and adding to the common misconception that victims of domestic violence have only themselves to blame. They generally stick with it because they're trying to do the right thing. 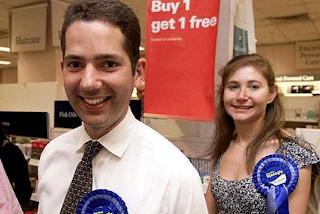 Which brings me, with a deep sense of gloom, to Under-Secretary of State for Justice Jonathan Djanogly. You won't have heard much about him, as the Tories try to keep him away from the public and with very good reason. He's a multi-millionaire who claimed second home expenses even though he lives in a house owned by his parents. He was accused of getting the taxpayer to fund his nanny to the tune of £13,000 and admitted using private detectives to investigate his Conservative colleagues, using the kind of techniques that would make even Andy Coulson blush. He is also in charge of reforms to legal aid, which are mainly aimed at saving money and will therefore mean that unless you can afford to hire lawyers out of your own pocket as Mr Djanogly does there are many ways you will now be stiffed by the justice system. One of those reforms is to the ability for victims of domestic violence to claim legal aid, which is the only way many people would be able to take action in the family courts against an abuser. Mr Djanogly says that in order to qualify victims will need to prove the violence took place. Fair enough, but he will not accept evidence from doctors, the police, witnesses, neighbours, friends or the victim themselves. No, the only proof he will accept is a previous court finding, which will lead to the insane situation that a victim cannot afford to go to court to get an injunction against their abuser unless they, er, already have such an injunction. He will also accept a criminal conviction as evidence, but considering the low rates of police reporting and even lower rates of conviction that's about as much use as Nick Clegg's moral compass and twice as screwy. The reforms mean that the few people - mainly women, mainly mothers, mainly not in work - who get the gumption and lucky break they need to take their abuser to court to protect themselves and their families now won't be able to do it. A lot of them will carry on being hit and intimidated, their children will suffer, and they will rely more on the already-stretched police, hospitals, social workers and charities whose budgets are all being cut. In purely financial terms, it will cost us more in the long run. And more importantly, because of Jonathan Djanogly more women are going to die in a pandemic which nobody notices. It's all right, he says it won't happen again. * If you think you've been affected or want to know more please click here to go to the Refuge website.